Lunagirl Moonbeams by Lunagirl Vintage Images: Spring Chickens Challenge Winner: Wendy Lynn! The challenge is done, and the chickens are coming home to roost... sorry, couldn't resist. The Spring Chickens challenge was great fun, and I send a big thank you to everyone who played! I've completed the random drawing, and the lucky winning entry is #4 by the ever-fabulous and creative WendyLynn of WendyLynn's Paper Whims. Congrats to Wendy ~ she will receive $15 credit for shopping at Lunagirl.com. 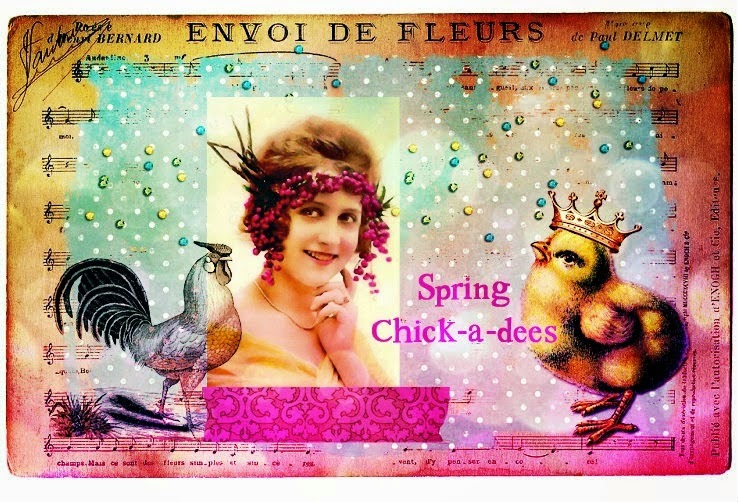 Yay...I'm so happy that this postcard was chosen to be the "Spring Chicken" challenge winner. I had so much fun playing with these images.